Goes anywhere! The Ameristep 4-Spur Hunting Blind packs light and deploys quickly, providing instant concealment for turkey and whitetail hunting. 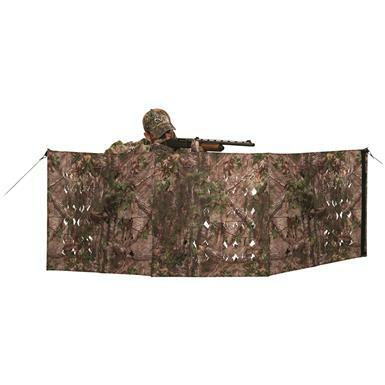 Ameristep 4-Spur Hunting Blind is rated 5.0 out of 5 by 1. Rated 5 out of 5 by JD 60 from Exactly as described! Easily carried during hunt-perfect for run-n-gun tactics! Easy-up 5-hub design is ready for action in seconds! 60" x 60" footprint, 66"h.
Dependable hunting concealment for two. 59"w. x 59"l., 19 lbs.